Brunch. Such a positive word, emotional even. It implies waking at your leisure, meeting people you care about and gorging 50 percent more than a normal meal, because hey—it counts as two right? And we all plan to actually burn the calories considering we have the rest of the day. Well, we'll get to that after the food coma nap. And a House of Cards binge watching session. OK, let's just schedule the calorie-burning thing for tomorrow. 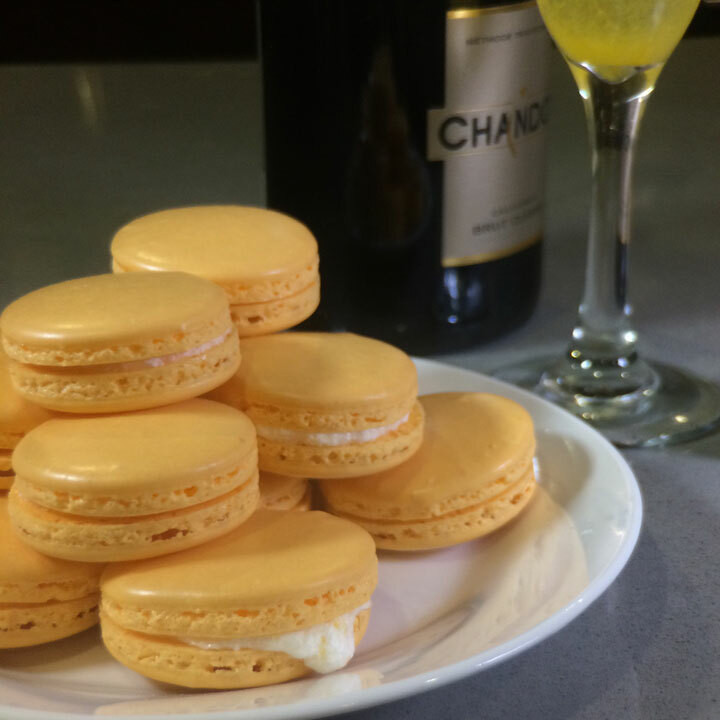 It was with this mindset that we collaborated with Ashley Khawsy from Smash Bakes to invent a boozy macaron and make it simple enough for anyone who's not a professional baker to create. You'll find the weight of ingredients in grams, because we highly recommend using a scale for measurement. For full instructions, check out the video!